A while back I answered a query in a group. Wow, I thought when I read it. You asked for feedback, and when I give it to you, you question me about it? When I read that last line, I knew all I needed to about the situation playing out. The querant was looking for affirmation of their experience, and not genuinely seeking information about other people’s experience- whether they realised that, or not. The issue here was that the request wasn’t written to achieve the desired information – giving life to what I call the ‘ask, receive, rant’ cycle. How do you ask the wrong question? This can happen for a number of reasons. Not thinking the request through clearly is common. Everyone is busy, and when the pressure is on, crafting a message might not rank high on the priority list. Another issue is trying to couch a request behind lots of ‘padding’ to appear polite/avoid offending/coming across as aggressive. I used to do this a lot! But after spending more time clarifying my requests than it took to pen them, I realised I needed to change my style. You don’t get the information you need. You go back and forth clarifying your request, which wastes the time of everyone involved. None of this helps you with your business or your image! This approach helps you signal exactly what sort of reply you want – advice, feedback, whatever the case may be. You then clarify the topic, and give a sense of the context. Context is valuable because it helps people laser their response for your situation. It also helps you confirm in your own mind exactly why you are asking the question in the first place! ‘But why would someone ask a question when they aren’t sure why they’re asking it?’ Touche, but as my example shows, it does happen. Go forth and question confidently! 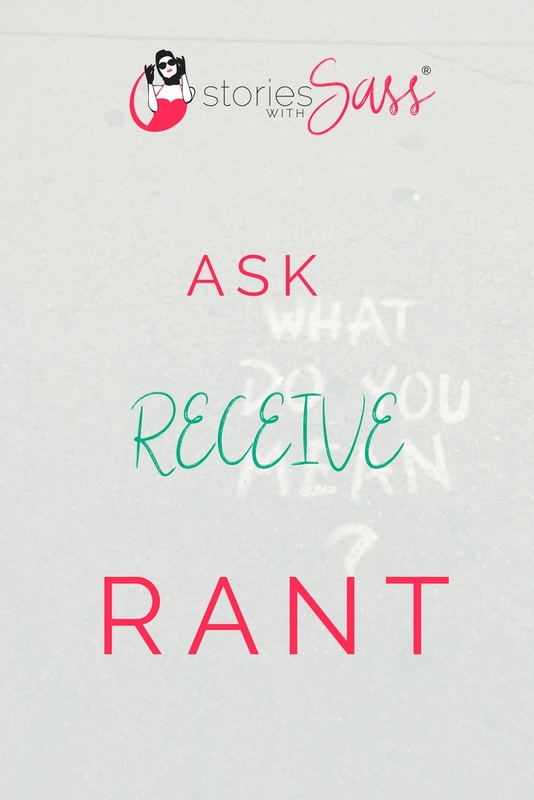 I hope this tip helps you avoid the ‘ask, receive, rant’ cycle! I’d love to hear how this approach works for you, and any similar experiences you might have had to my group experience!